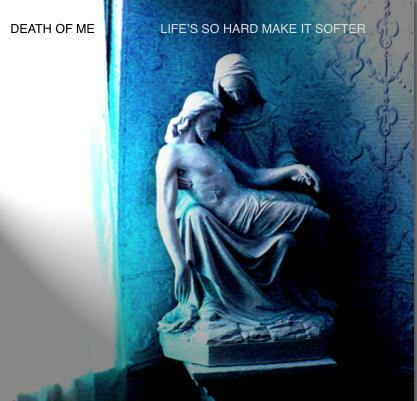 Death of Me - "Life's So Hard, Make It Softer"
Back in 2005 a group of musicians got together to work on some songs. After several rehearsals the band went into the studio and started recording. A total of five days of recording took place over a few months. The cover. Jesus lies dead in Mother Mary’s arms just hours after the Crucifixion. It is one of Western Civilization’s greatest and most enduring symbols of suffering in a just cause, in this case human salvation. The title. “Life’s So Hard Make It Softer” is a line from the first song. It is a feeling that anyone who’s ever lived can relate to. It’s a prayer. It’s a mantra. It’s a plea up to the Big Blue Sky. “Please, Please, Please”, the first song was actually the first song the band put together. Mike had a one part song cobbled together from some of my lyrics and a refrain I’d sung for him one afternoon. He added some of his own words but couldn’t come up with anything else. Ready to scrap the whole damn song, he was. then he played it for Chris who dashed out the wonderful musical section that brings everything to life. It’s a song in the great folk tradition of asking for shelter from the storms of life, whether internal or external. “Trees” is a big, fat rocker with a Dylanesque style, and I favor it over the other rocker on the album, “Saint and Sinner”. Though I love the drive and seemingly twenty guitars layered in by Chris, “Trees” has a bluesy looseness about it, some bitchen guitar sounds by Bob Vennum (BellRays man) and an intriguing story to go along with it. A latter-day Noah sits atop the mountains and watches as a Great Flood destroys the lower lands. He watches as various things float by (a smart dressed man with a silver cane, a beggar man with a cup of rain, an old pack mule) and he comes upon a crying angel. But this flood song has hope. The narrator and the angel shake off their grief and begin planting seeds after the flood has subsided. “Let It Drown” (in both versions) has no such hope. It is an angry, sad song wishing God would put humanity down for the final count. There is no chance for a second chance. As the chorus goes “If the rain comes down/But the world just won’t cool down/Let the rain come down/Let it drown.” The quiet Randy Newman-like track is more wistful about the judgment and stresses the moroseness of the human race gone wrong. “Heroes” has Mike’s best pop hook, not only the novel idea that “even the Devil has his own heroes”, but the melodic nature of it. Mike shied away from writing “pretty” music (those indie roots), but on “Heroes” he just sang it and it works. I asked Mike if he meant the Devil admired Hitler and Stalin and the rest, but he replied that he meant that hatred, cruelty and other evil traits are idols to the dark angel. “Following a River”, for me, is the magnum opus of the album, the best song and the best track. It has a grandeur about it. It is one of the five songs about death on the album. It draws us into the story of a man who is planning to jump into those dark waters to be carried out to the sea as a lifeless corpse, and as he plans his actions he contemplates a photo of his “dear one”. Who is the dear one? A daughter is my idea but it could be a wife or a lover. I here is a lovely, silvery lead Chris plays in the musical break that reinforces the aching heart inside of this broken man. “Last Train” is a song very close to me because it is about my brother as a child and Chris’ best friend and also the manner in which he died, being struck by a train as he walked along the tracks at night. He was an angel of a child who was turned into a demon by drugs and alcohol, a victim of the inner wasteland of addiction. “Life is a good kid trying to be bad/Laughing out loud cause his heart is so sad/He could be the best friend you ever had”. How true. How devastatingly true. The song has a country feel with a lively acoustic riff and a movement about it that belies the final moments. Bobby indeed “cashed his ticket to the other side”. Humor rears its wacky head with “Sue The Bible Study Girl”, a song done in an authentic country style a la Buck Owens I would say. It tells the story we’ve all seen – the good, churchgoing girl who has a crush on the bad boy at school, and vice versa. She wants to save his soul (and more) and he just wants to get close to her body, real close. In this version, all ends well. The boy gets saved and also gets Sue, while Sue gets the sexual passion she’s really wanted from him all along. Mike plays a crazy, funny slide guitar on it and sings it perfectly. Country music at its finest (tongue in cheek). Mike wrote two songs about mortality also, “Resurrection Train” and “Demon Shoes”. “Resurrection Train” chugs along, building speed as it tells of a ghostly train on silver tracks that transports souls into the after-life. It doesn’t have the joy of Gospel music but the message is hopeful for a tired soul. A pair of shiny pumps becomes a metaphor for drug addiction in “Demon Shoes”, done in a “Lou Reed sings Sister Morphine” sort of style. The shoes won’t let the wearer ever rest from dancing until weariness takes hold, eventually leading to the ultimate weariness. Mike knew the never-ending dance personally. “Don’t Whisper”, This Life” and “I Don’t Even Know Myself. All three are interesting tracks ranging from a lover in a frozen relationship wishing his lover would scream “until the windows crack”, to a humorous early rock’n'roll tune about the dangers of a ne’er-do’ well returning home and no one wants him back, to the problem of figuring out life when we can’t even explain our inner lives to one another. “Close Call,” about Mike’s death, is a great song, the next to the last tune. Here Chris puts himself in Mike’s head as he drifts off into the Big Sleep, not even realizing that he’s fading away. He thinks he just had a “close call” with the powder but he’s wrong. The song is beautiful and wistful and sad and sleepy, the way one imagines such a death would be like. *’A star doesn’t know when its dropped from the sky”. But Mike also had another close call. He almost, but not quite, made a long-lasting connection with friends who wished him well and lived sober lives, people who were grounded in the great reality of everyday life. ‘I kinda hung around/almost touched ground/I guess you could say I had a close call”. Some final notes for those of you still awake. Mike’s wonderful contribution, all of it, was made m only five sessions. That’s right. Five. Most of the sounds you hear were patiently dubbed in by Chris in his garage on Pro tools. Guitars, vocals, keyboards, effects. 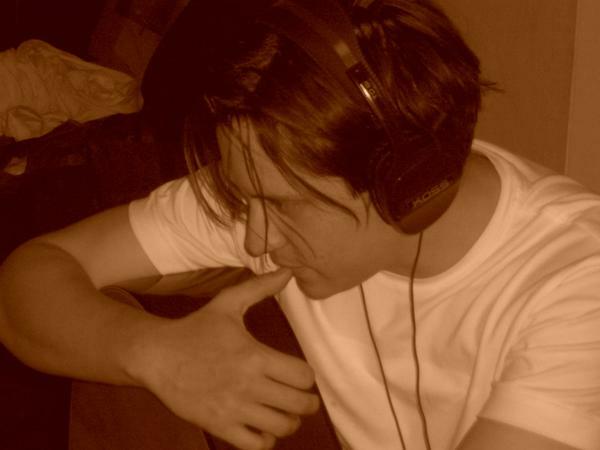 Three tracks were written and four recorded after Mike’s death. A blended work but it came out so smooth. A band with a unique sound, many sounds. A work bounded by tragedy on one side and a great sense of humor about life on the other. Life is so hard. Somebody please make it softer.